Irish furniture company AODH released this Axel Stacking Armchair by Alexander Gufler. 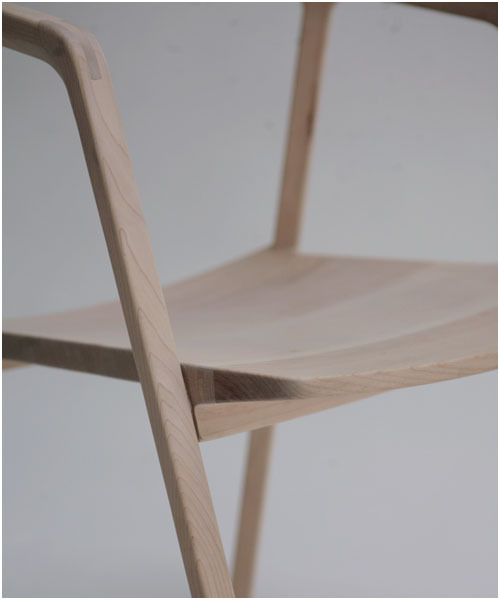 Axel in ash or maple in solid natural: €696 or US$899, taxes not included. 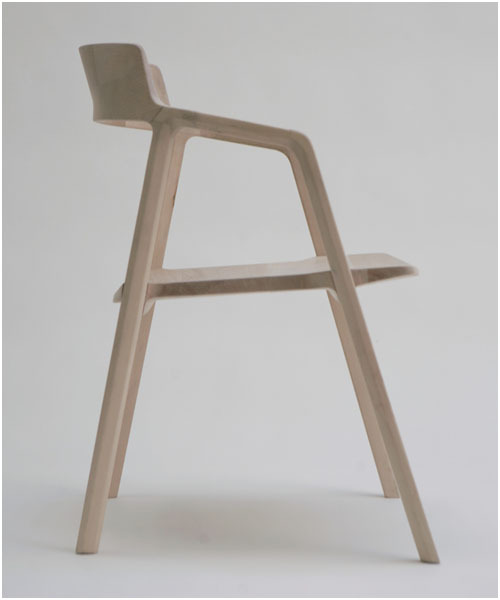 A version of the chair is coming later this year in solid walnut. Approximate pricing will be €890, taxes not included. An upholstered seat pad, in felt or leather will be available. Alexander Gufler was born in Mereno, Italy in 1979. He studied for three years as an apprentice goldsmith and two years in the Professional School for Jewellers in Pforzheim, Germany. He then turned his attentions to industrial design, graduating in 2009 from the University of Applied Arts in Vienna, under the tutelage of Ross Lovegrove, Hartmut Esslinger and Paolo Piva. 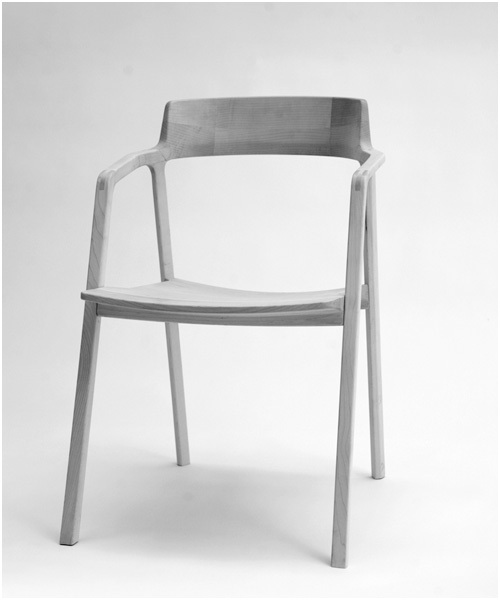 His Merano chair for Ton was merited with a reddot design award in 2011. Check out the chair at www.aodh.eu.